The American Museum Membership Conference (AMMC), a wholly volunteer-led annual forum, sets the industry standard for professionals in the field of membership-based museum fundraising through trend analysis, training, shared communication, mentorship and support. Organized by a closely connected network of dedicated membership directors across the nation, the conference is a collaboration of staff from large to small museums who value the premise of a conference entirely dedicated to discovery and review of best practices in member service and fundraising. Avalon is an AMMC Patron Sponsor and has been a regular presenter and panel facilitator at the annual conference. The Association of Direct Response Fundraising Counsel® (ADRFCO) is the national association of agencies that specialize in the science—and art—of the unique and effective direct response fundraising medium. ADFRCO members are committed to promoting the highest ethical standards … pursuing the best and most effective practices … and working toward sensible government regulations – that protect the public without creating costly, unnecessary burdens. Avalon is a member of ADRFCO and Avalon Chief Operating Officer Kerri Kerr is a board member. The Association of Fundraising Professionals (AFP) represents more than 30,000 members in 213 chapters throughout the world, working to advance philanthropy through advocacy, research, education and certification programs. The association fosters development and growth of fundraising professionals and promotes high ethical standards in the fundraising profession. Avalon is a member of AFP and a regular presented at the jointly organized AFP/DC-DMAW Annual “Bridge to Integrated Marketing and Fundraising” Conference. Avalon President and Co-Founder Allison Porter is a past board member for the AFP DC-Metro Area Chapter. The Direct Marketing Association of Washington (DMAW) is the largest regional direct marketing association in the US. Its purpose is to promote the exchange of information among our members; to encourage and support the highest ethical business standards; to promote use and understanding of direct marketing; and to encourage and support the teaching and study of direct marketing in an academic environment, as well as through the association itself. Avalon is a member of DMAW and is a regular presenter at the jointly organized AFP/DC-DMAW Annual “Bridge to Integrated Marketing and Fundraising” Conference. Avalon Co-Founder Ann Herzog was actively involved with DMAW beginning in the late 1980s—serving as DMAW president in 2001 and multiple years as a board member. She founded the DMAW Telemarketing Council and chaired the Marketing Award for Excellence and Innovation (MAXI) Taskforce from 2004-2008. The mission of the Direct Marketing Fundraisers Association (DMFA) is to enhance the professionalism of all those engaged in the business of direct marketing fundraising by promoting good fellowship, cooperation, and mutual interest among its members; helping improve the direct marketing knowledge and skills of its members through education and idea exchange; and promoting harmony and ethical conduct within the industry. Avalon is a member of DMFA. Marketing EDGE is the only national nonprofit of its kind solely committed to acquaint professors and college students with – and to engage and involve them in – the thriving business of marketing. Marketing EDGE is supported solely by corporations and individuals who want to give back to the community. Avalon president Allison Porter serves on the board. 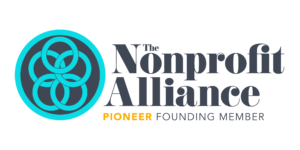 The Nonprofit Alliance seeks to support a thriving nonprofit sector by supporting its promotion, protection and strengthening in the interest of donors and beneficiaries. Its diverse landscape of member nonprofit organizations and partners are unified in the alliance’s goal to innovate, educate, and prosper through representation in federal/state legislative matters, delivering exemplary educational and professional development opportunities, upholding standards of ethics, using integrated channels to evolve consumer expectations, and celebrating those dedicated to uplifting others. Avalon is a Founding Member of The Nonprofit Alliance. The Nonprofit Technology Network (NTEN) is the membership organization of nonprofit technology professionals. Its members share the common goal of helping nonprofits use all aspects of technology more effectively. NTEN enables members to strategically use technology to make the world a better, just, and equitable place by facilitating the exchange of knowledge and information within the nonprofit technology community; connecting members to each other; providing professional development opportunities; educating the community on issues of technology use in nonprofits; and spearheading groundbreaking research, advocacy, and education on technology issues affecting our entire community. Avalon is an NTEN member. View our presentations given at recent nonprofit fundraising industry events.